Jonathan Hayes to be named XFL St. Louis Head Coach/GM? 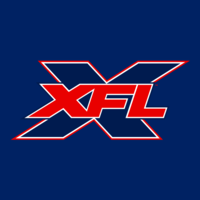 Re: Jonathan Hayes to be named XFL St. Louis Head Coach/GM? All of the coaches so far have had ties to the cities that they are coaching in, so I don't see why the St. Louis coach shouldn't. They don't have to have any association with the Rams. Pep Hamilton had no association with the Redskins, but is from DC and went to Howard, which is in DC. And what if he had gone to college in Boston? Should XFL DC fans not be excited to have him? Honestly, I don't think Pep would have left Michigan if there wasn't a team in DC. If the only way XFL St. Louis is going to work is by pandering to the Greatest Show on Turf, the XFL made a huge mistake. But it's not in the choice of coach, it's in giving this town a team at all. It's not that. Look at all the coaches hired, all been HC before and had in some way a tied to the area there coaching in. Hayes doesn't fit either one of those things. I don't need it to be A greatest show on turf guy to like it. I want to be someone that at less had experience in the role and as some connection with the area. Hayes doesn't have either but all the other teams do.You have to keep in mind St. Louis wants it's football but at the same time they you trying to attracts fans who went years without it as well. How do you create buzz? but having personal that the locals know who they are or a resume that is impressive. When you compare Hayes to who been hired. It doesn't match up and doesn't get me as excited as someone proven at some level. If Hayes had played his high school football in St. Louis or even went to Missouri, I bet the you would be okay with it. His only ties to Missouri was that he played for the Chiefs and I am not sure if St. Louis and Kansas City sports fans are friendly to one another or not. Pep Hamilton was never a head coach, but he did have ties to DC. Baseball side of things there still some what of a rivalry, based off the 85 World Series but it's not what it was since they don't play regularly in a season because of NL vs. AL. Football never was one because they Chiefs and Rams didn't really play each other that much being one was NFC and the other AFC. However they been trying to have KC be embarrassed by St. Louis more after the Rams left. I guess they maybe using KC as a tie in with St. Louis, Not sure. How fans field about each other as for as I know respectful but as I shown not much of a feud when they don't play year to year. Compared to like St. Louis and Chicago. I don't care about Hayes' connections to STL. I care about his experience and qualifications to be a head coach. And, compared to the other coaches in the XFL, he's vastly unexperienced. Obviously, Martz would have been awesome here in St. Louis, but I don't really care about a Greatest Show on Turf connection. We just want a good football team that's fun to watch. Hayes would have been a disappointing hire in any city. I agree with this. You could taken anybody hired in the XFL before hand or the AAF before hand not named Martz and I wouldn't have a problem with that either. Hayes maybe good and he may not be. I don't know but when you starting a league and trying to attract interest, you are right about how Hayes compares to everyone else. It is a let down of a name compared to everyone else. Hayes has never even called plays and out of all the times the Bengals were looking for an Offensive Coordinator, not once was he even considered? Zorn, Hamilton, Gilbride and Trestman will probably call the plays for their respective XFL teams as they did in the NFL. I know that new Miami Head Coach Brian Flores was never a defensive coordinator, but he called all of the plays on Defense for the Super Bowl Champions. New Bengals Head Coach Zack Taylor was an interim OC in Miami in 2015 and OC at the University of Cincinnati in 2016, so at least Taylor has some play calling experience. New Browns Head Coach Freddie Kitchens was promoted from Offensive coordinator last year. Hayes has never called plays on offense. That is my main issue with this hire. 4 of the 5 coaches currently all have been offensive coordinators or head coaches in the NFL therefore they have called plays. Hayes has been a Tight Ends coach during his entire time as an NFL coach and not once has he coordinated an entire offense. I get that. If I had to rank all 6 hires so far Hayes would probably be 6th. This makes me wonder just what went on in the interview process, especially if Haslett is no longer being considered for a position. The XFL, after all, is going to be fairly different from the NFL. Perhaps Hayes' views and approach to the new rules was enough to impress the league. Last edited by XtremeFanForever on Wed Apr 17, 2019 7:03 pm, edited 1 time in total. I am too interested in how the interview process went and would be interested to know who they at less attempted to get. It is one thing to attempt someone and get turned down on the offer but if you didn't really go after the different names we all said over the last several months is another. We don't know that but see such a gap does raise questions. When you look at Hayes and you compare Bruce who was labeled to gimmicky, I look at the two and don't see a huge difference and likely would said Bruce if I had to choice between the two. Only because I knew fans in the area knew who he was. Now if you told me you had to pick between Bruce and lets say Jim Haslett who was rumored and for some reason disppeared. I'm going with Haslett. I know that the interview with Haslett did not go well. He ended up not wanting the job. I don't think that local connections matter. As I have said, my main concern with this hiring is the fact that he's never called any plays on offense before, while Zorn, Gilbride, Hamilton and Trestman all have called plays on offense as either offensive coordinators or head coaches. I would expect those 4 to call all the plays on offense, not sure if Hayes will do that or delegate that to an assistant. Do you know who interviewed with LA and Houston?